 Privacy Statement - USPh - U.S. Physical Therapy, Inc.
By accessing or using this site, you agree to the following terms and conditions. This Policy Statement may change without notice. Scope: This site is a source for health-related and U.S. Physical Therapy, Inc. service related general information on the internet and is presented as and is intended for educational purposes and general knowledge for consumers desiring to learn about such topics. As such, this site is not meant as a substitute for the advice of your physician or other healthcare provider. If you have questions or concerns regarding your specific medical conditions, we strongly urge you to seek medical advice. This site should not be used in place of a call, visit or consultation with your physician. Security: U.S. Physical Therapy, Inc. is committed to protecting the privacy of our visitors and endeavors to create and maintain a safe and secure environment for your personal information. In doing so, U.S. Physical Therapy, Inc. utilizes a variety of security implementations to protect the privacy and accuracy of all data. U.S. Physical Therapy, Inc. will not voluntarily release, trade or sell any information you provide hereunder without your approval. Third Party Links: U.S. Physical Therapy, Inc. may post links to or use content from other external web sites developed and maintained by third parties. These links are posted as a convenience to our visitors and are not controlled, approved or authorized by U.S. Physical Therapy, Inc.. As a result, U.S. Physical Therapy, Inc. is not responsible for the accuracy or scope of the content of any linked external website and the inclusion of any third party link does not imply the endorsement or approval of the site or its contents by U.S. Physical Therapy, Inc.. Collected Information: U.S. Physical Therapy, Inc. gathers general information through this site is various ways: Server logs, Cookies, on-line surveys, and public forums. Collected information may be aggregated and used for general purposes. Copyrights and Site Ownership: Copyright 2008 held by U.S. Physical Therapy, Inc.. The text, images, graphics, files and arrangement of content in this site belong to and are owned by U.S. Physical Therapy, Inc. and are subject to copyright and intellectual property protection. The contents herein may not be used in whole or in part for commercial use or distribution and may not be modified or amended except as approved by U.S. Physical Therapy, Inc.. Patient Confidentiality: U.S. Physical Therapy, Inc. is committed to protecting the confidentiality and integrity of protected health information (“PHI”), consistent with state and federal law. PHI will be held in confidence as more fully described in the U.S. Physical Therapy, Inc. Notice of Privacy Practices.